The Shoebox Christmas Tree Project is a modified and replicated Shoebox project that was first introduced to me by my friends back when I was a scholar of Young Minds Academy - a youth development program of the Ramon Aboitiz Foundation Inc.. What makes this engagement unique is that I was able to influence my co-workers in replicating this as a form of employee engagement for the company that I work for (which is one of the biggest IT-BPO firms in the Philippines). 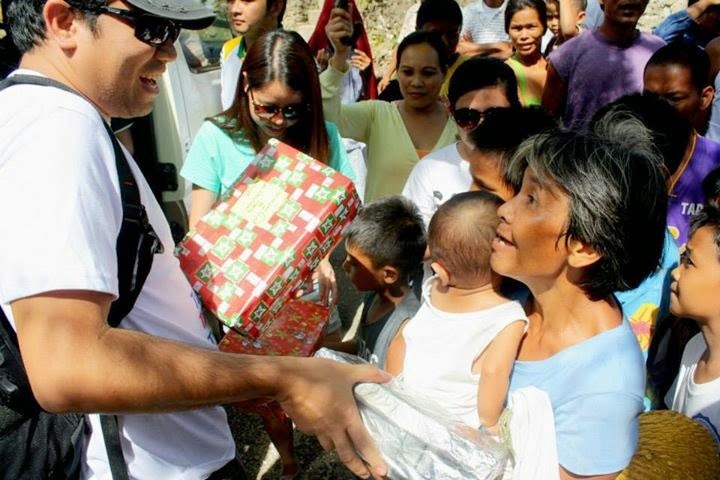 We encouraged the whole technology division to participate in donating shoebox filled with love notes, used clothing, toys and the like goodies which was to be given to the northern part of Cebu, specifically in Brgy. 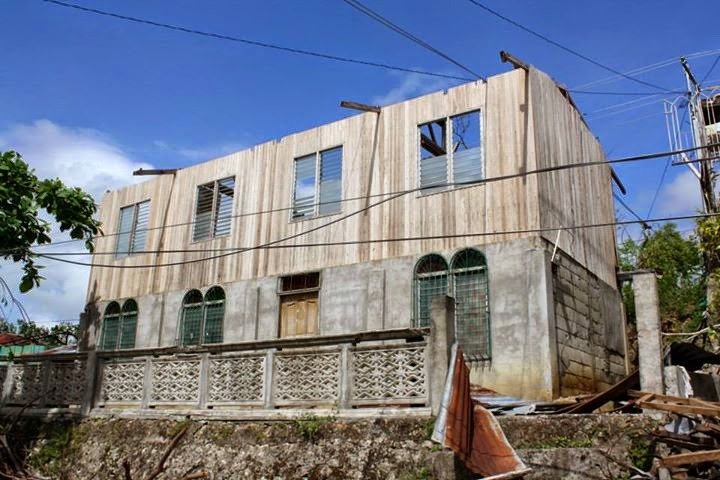 Kal-anan, Tabogon who were also affected by the strongest typhoon to hit the Philippines (Haiyan/Yolanda). We made things interesting by holding a contest for which department can form the best Christmas Tree made from the shoeboxes. With the prize of food and bragging rights of course! 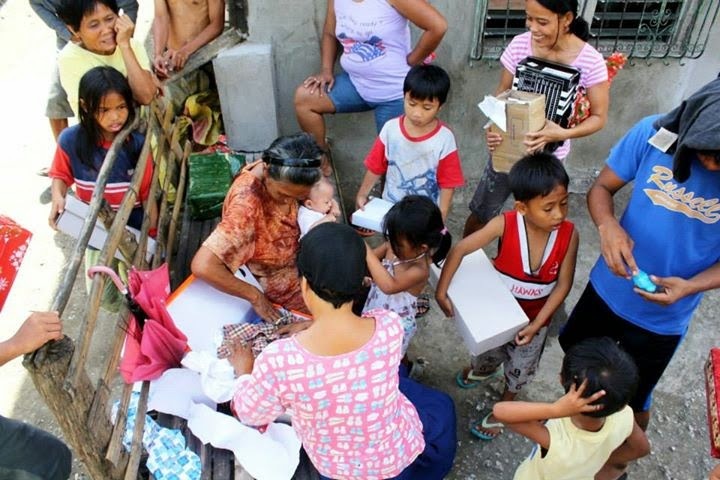 Eleven volunteers distributed over 300 wrapped shoeboxes were given to men, women and children in Brgy. 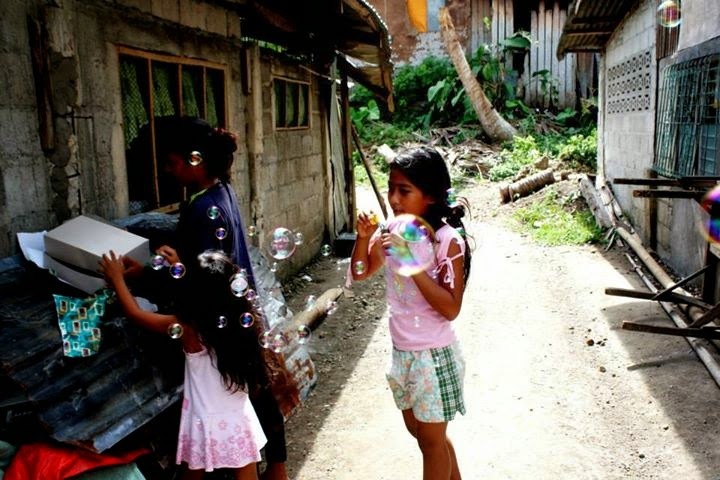 Kal-anan, Tabogon, in northern Cebu; while over 70 were given to the homeless around Cebu City (this were left over since our all the people in our target community received shoeboxes already >_< ). Though this post is a bit late, our humanitarian mission isn't over, there are still lots of things that can be done to help people; it is indeed better to give than to receive, till the next shoebox project! This Shoebox project started way back in 2007, when a Dutch youth named Sanne Pronk asked some of her countrymen in the Netherlands, mostly her classmates, to provide useful materials for Filipino children. Pronk earlier visited Cebu through the Pinoy-Dutch explore program coordinated by the Ramon Aboitiz Foundation Inc. 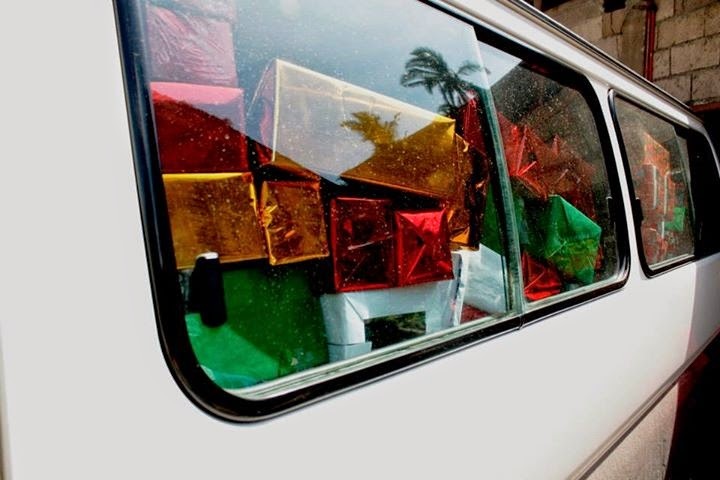 Since then, me and my friends have been replicating this practice in different forms to various communities that needed some relief due to calamity, disaster or just in-time for the season of gift giving. 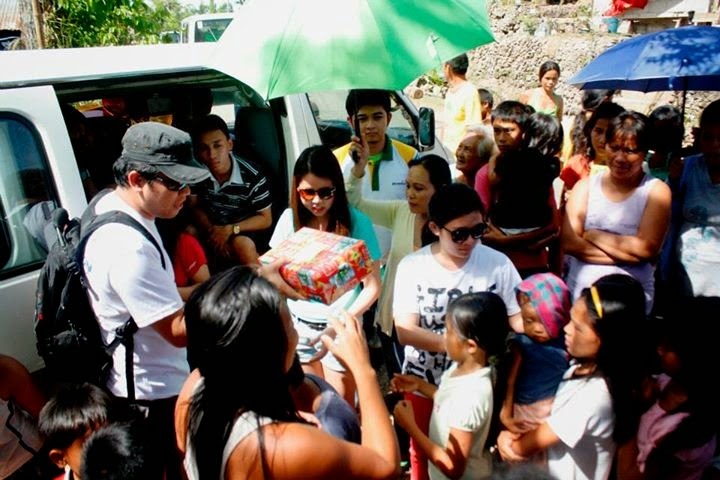 The last one that I help organize and join was back in December 2010 through the Shoebox Caravan to the South-side of Cebu touring Talisay-Naga-San Fernando-CarCar up to Sibonga! You may want to read more about that post here. 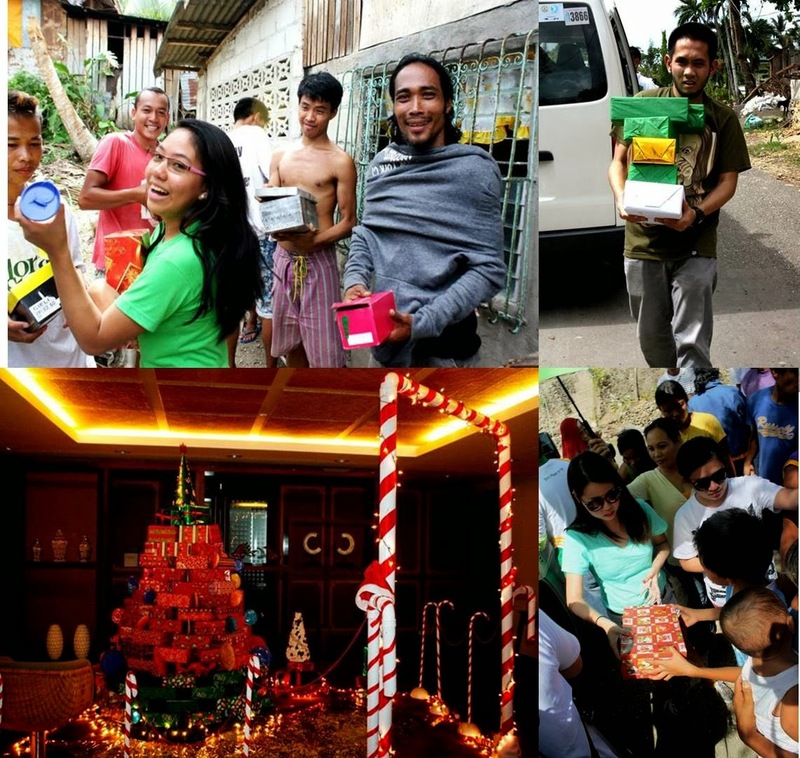 Since that time, my friends have joined and replicated another one which was a Shoebox Project: Kahon Pahalipay - habagatan edition (which was targeting the towns in Northern part of Cebu); read more here. Also, another one was done which was specifically targeted to a group in Urgello, Cebu City through the Community Christian Fellowship (CCF). Read more about this story.